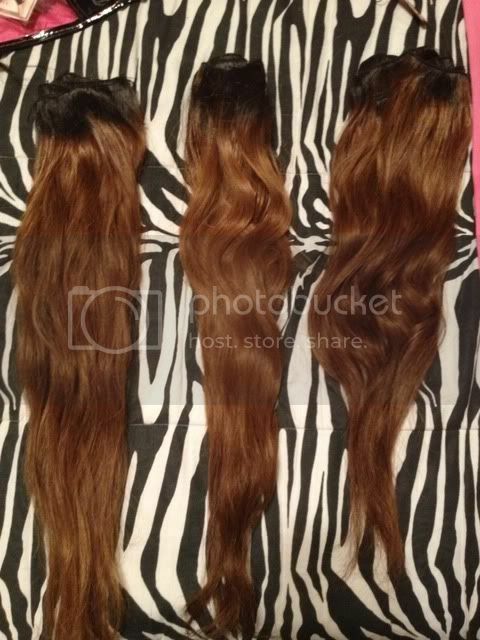 I have 3 bundles of virgin brazilian hair for sale that I colored myself. The hair was originally 20/22/24 but I trimmed the two longest lengths, so they are a little bit longer than 20 inch. Is this the hair that you were trying to sell as a bundle in the other thread? It looks the same, just that you lightened the color. Yes, there is a link in this post to my original post with this hair in the previous used/owned hair section. This is not the half bundles I was trying to sell earlier though. though. Ahh ok.. Thanks for clarifying!